1. In a bowl sieve the flour. 2. Add the margarine and mix well till the mixture becomes like breadcrumbs. Insert some salt and continue stirring. 3. Include some water and knead the dough. Do not add too much water since maybe you can need less. This depends on the flour and the kitchen temperature. 4. 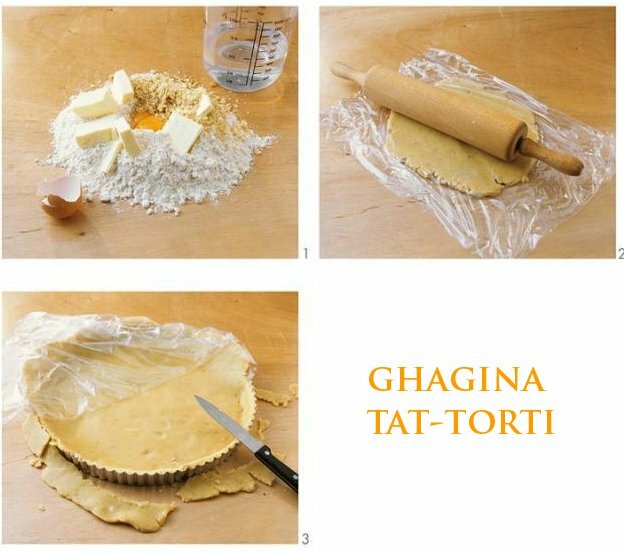 Cover the dough with a stretch and seal and leave it for a maximum of one hour. If the temperature is too hot in the kitchen put it in the fridge. This entry was posted in By Occasion, Picnics, Pies, Recipes, Sunday Lunch and tagged food, pastry, pie, Recipes, torta, traditional maltese recipes. Bookmark the permalink. Is there an english translation please.